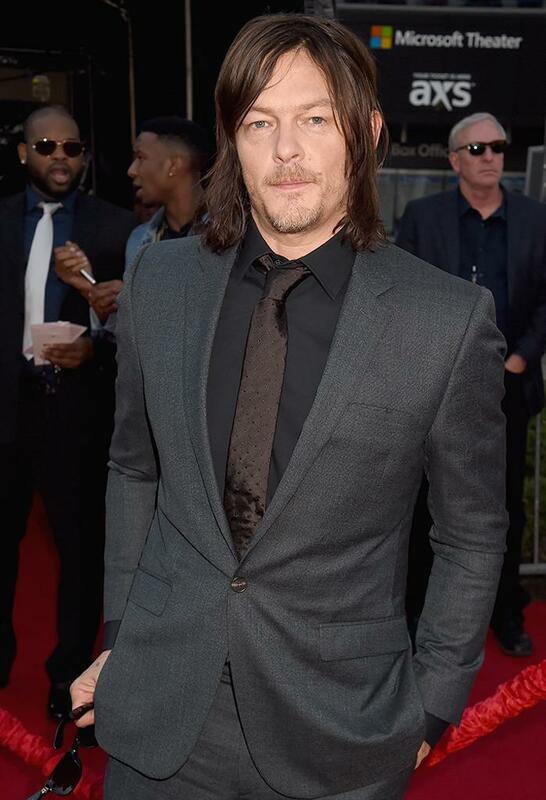 Hopefully Norman Reedus is up to date on all of his shots. The Walking Dead star was bitten by an overeager fan at Walker Stalker Con in Secaucus, New Jersey, over the weekend. 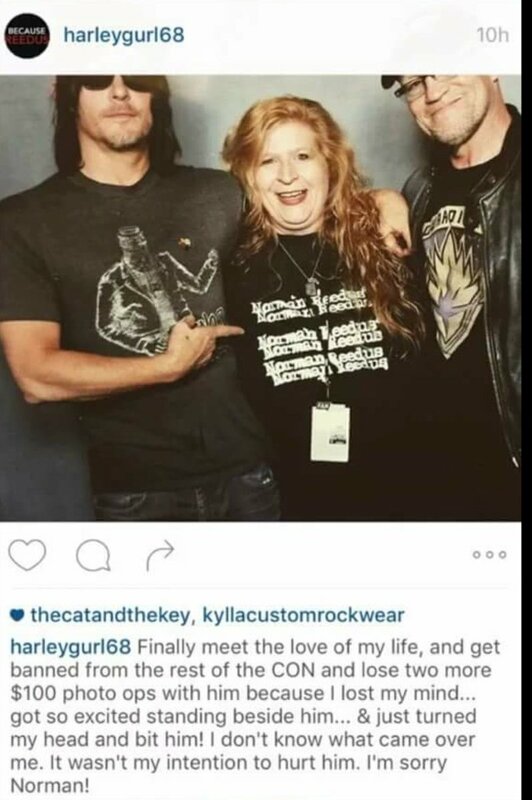 According to fan reports, the biter in question was waiting in line to get her picture taken with Reedus (who portrays beloved Daryl Dixon) and his co-star Michael Rooker. When the woman was finally able to meet the actors, it started out as a relatively normal meet-and-greet. She apparently opened by telling Reedus a story about how she likes to pretend that she’s married to him, but when it was her turn to say cheese she turned and bit his chest. 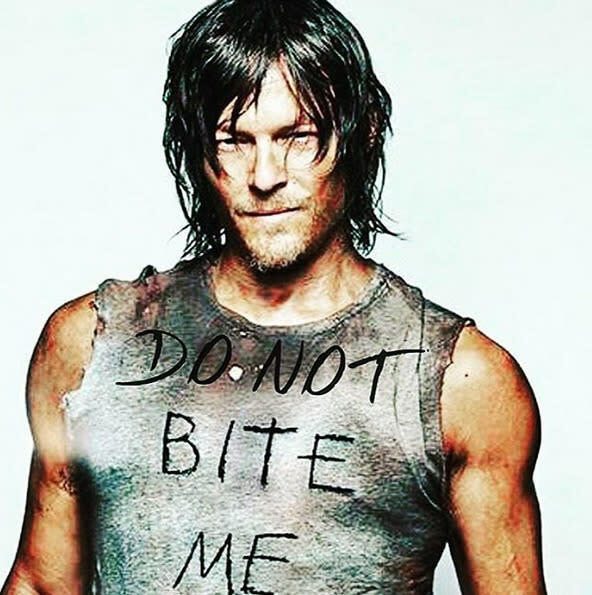 Reedus declined to press charges against the woman since it was really just a nibble and didn’t break the skin. As for the fan, she shared a pic on Instagram — guess she got at least one useable shot before getting the boot — apologizing to her TV crush. We think all is forgiven, but not forgotten.